A vintage style and an intricate millgrain setting work beautifully together in this White Gold teardrop shaped Pendant. 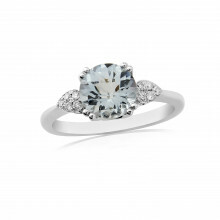 A light blue, Round Cut, Aquamarine sits in the centre and there is a further Diamond in the bail. 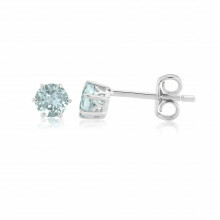 A very special piece and perfect for birthdays as Aquamarine is the birthstone for the month of March.